Psychological disorders tend to affect the thinking, mood and behavior of an individual. Unfortunately, mental illnesses carry a huge sigma, thereby discouraging people from accepting their condition as an illness rather than personal weakness and seeking proper treatment for it. Symptoms of these disorders can be mild or severe depending on the type of mental illness being experienced. If not treated effectively in time, mental illnesses may even cause disability. Most mental health problems are treated with the help of psychotherapy, medications, behavior modification, cognitive behavior therapy, group therapy, hypnotherapy, electroconvulsive therapy (ECT), etc. People often undermine the seriousness of mental illnesses as they believe that diseases like diabetes, cardiovascular problems, gallbladder disorders, arthritis, etc. are more significant and worthy of their attention. However, the fact is that your mental health is as important as your physical well being. Contrary to this popular misconception, psychiatric illnesses and disorders are quite common. In fact, they are more common than conditions like cancer, heart disease, diabetes, and so on. 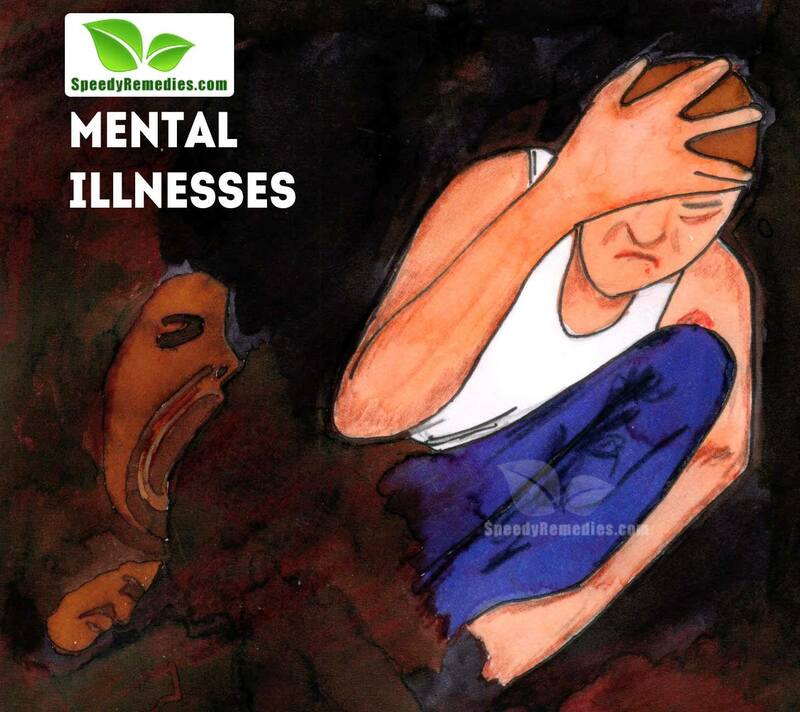 Anxiety, post-traumatic stress disorder, depression, dysthymia, substance abuse, obsessive-compulsive disorder, eating disorders, schizophrenia, and bipolar disorder are some of the most common mental health issues. This is another common myth. It has been observed that most psychotic patients have no history of violence. Moreover, individuals with mental illnesses without substance abuse are usually not violent. Though, they may exhibit violence (mostly culminating in self-harm) at times due to disturbing hallucinations. Ineffective treatments, too, may cause the same. Nevertheless, substance abusers and patients who do not take their medications may become violent. Schizophrenia is not the same as split personality disorder, also known as Dissociative Identity Disorder (DID). More often than not, schizophrenia involves realistic visual and auditory hallucinations, paranoid delusions, and disorganized behavior. DID, on the other hand, involves two distinct identities taking control of the patient’s behavior. The condition is characterized by episodes of amnesia. Furthermore, split personality disorder is very rare as compared to schizophrenia, which affects about 1% of the world’s population. Here’s a video explaining about psychotic disorders and symptoms. Mental illnesses are difficult but not impossible to treat. Apart from various medications and therapy, proper treatment for a psychiatric condition also involves lifestyle changes. So, some patients, particularly those who are diagnosed early can recover completely from the disease. Others, nevertheless, may be cured considerably with only occasional episodes of illness. Although mental illnesses are associated with biological chemical imbalances and genes, these are not the only factors that cause psychiatric conditions. Thus, a person’s personal temperament, physical abuse, long-term physical illness, infection, sexual abuse, drug abuse, emotional trauma, life experiences, family discord, death, divorce, cultural background, and other environmental factors also play an important role in causing psychological disorders. For instance, researchers have found that the first-degree biological relatives of an individual suffering from schizophrenia are 10% more at risk of developing this disorder as compared to others. Therefore, people usually inherit the susceptibility to develop a particular mental disorder.